To celebrate the arrival of the royal baby we are giving you an exclusive preview of Show & Stay's Lion King sale. Treat the kids to a Lion King theatre break from just £75pp — get your claws into this amazing deal before anyone else. 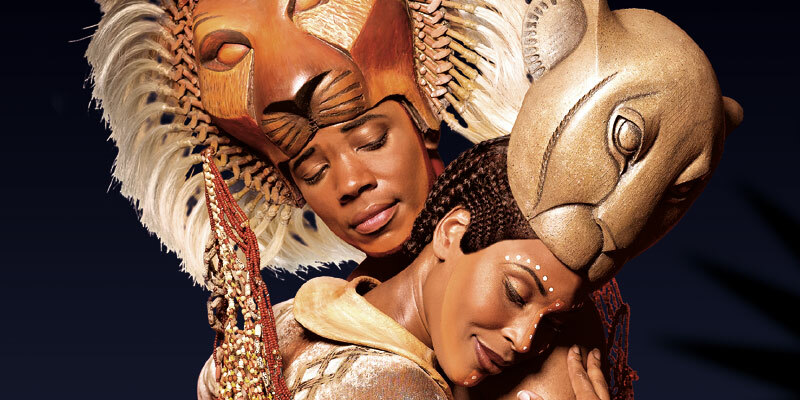 Exclusive sale now on - book now The Lion King is one of the most spectacular shows in the West End, wowing audiences for almost 14 years at the Lyceum Theatre. Don’t miss out on this fantastic offer to see the Disney classic come to life on stage. "This is a wonderful, wonderful musical: thrilling, warm-hearted, inventive and original...The Lion King will touch a deep chord in everybody"
Why book a theatre break with Show & Stay? Book your complete Lion King theatre package with Show & Stay and save up to 57% compared to booking your hotel and tickets separately. Plus, they'll give you a free gift with every booking. If you're after cheap and cheerful prices on top-notch seats, look no further... Sign up to my theatre offer newsletters. Offer source: Show & Stay. Terms and conditions apply: Lead price is based on 2 sharing at the Travelodge Southwark including show tickets, breakfast and a free gift. Lead price based on the following dates: 10, 11, 20, 21, 22, 30, 31 August 20, 21, 22, 29 September, 1, 9, 10, 19, 20, 29, 30 October, 8, 9, 19, 20, 28, 29 November, 8, 10, 18,19, 28, 29 December 2013, 7, 8, 17, 18, 28, 29 January, 6, 7, 16, 18, 26, 27 February 2014. Subject to change and availability. 57% saving message based on booking the hotel directly and tickets direct at the box office on selected dates. Offer ends 2pm Friday 26th July 2013.